It’s officlal. The new Tenor Trio, Forte, comprised of Fernando Varela, Josh Page and Hana Ryu, will make an appearance on the Tuesday June 25th America’s Got Talent show. I am excited. I personally know Fernando and have known about Josh via one of my former voice students. This personal connection is something rather special for me and I wish all three gentlemen the greatest success in the world. Both Fernando, his musicians and manger, Paul Mascioli, are currently in Lisbon, Portugal performing for the Rotary Club International. A classical vocal trio is something that America’s Got Talent has never seen on their stage before. And, what makes them very appealing is their ability to cross over into the Pop genre. I feel reasonably assured that this will happen if they do advance past the Las Vegas rounds, but I can’t be 100% certain of this. Maybe 50%. Ha! 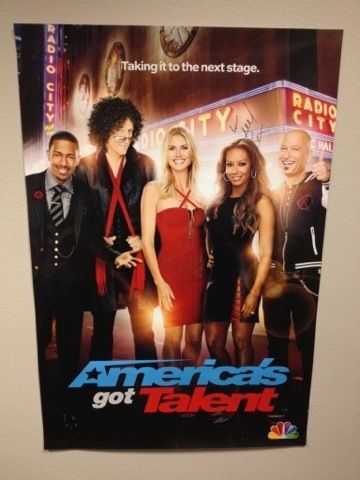 At any rate, in addition to Forte, expect to see some of America’s Got Talent best talent on this week’s show. It airs Tuesday, June 25th at 9:00 PM Eastern on NBC. Are you in? Comment away then! Oh! MCL…I LOVED FORTE!!! WOW!!! When I heard them sing on America’s Got Talent, I started crying. It was so beautiful. They have such wonderful voices. These are God given gifts they have been given. God Bless all three of you and success in your careers. Riz- thank you so much. God-given gifts indeed that have been wisely nurtured through the proper training and guidance. Your comments are much appreciated, riz!